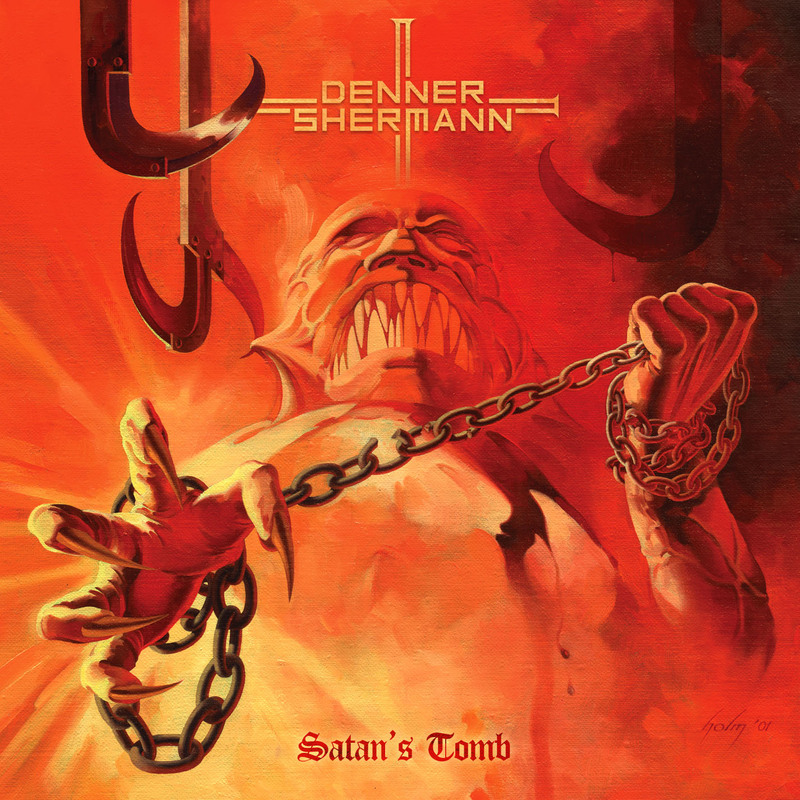 Denner/Shermann: “Satan’s Tomb” EP Review by Jason Z! Michael Denner and Hank Shermann, the guitar gods who helped to create Mercyful Fate‘s Melissa and Don’t Break The Oath, have now delivered one ungodly good, four-song EP. Of course, with a pedigree like this, I would have had high expectations to begin with, but they totally shatter them with Satan’s Tomb. 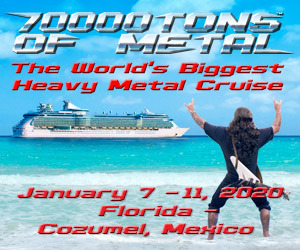 Although the songs are written in a classic metal style, they don’t sound dated at all. The duo has enlisted Marc Grabowski (Demonica) on bass guitar, Snowy Shaw (Mercyful Fate, King Diamond, Dream Evil) on drums and Sean Peck (Cage and Death Dealer) on vocals, and the combination of all of these talents results in pure magic. The title track opens with a guitar harmony, and after a brief intro, it blasts into full force. Peck’s vocals are immaculate and fit well with the dirge of razor-sharp riffs and blistering drums. The song gallops along at breakneck speed, then launches into a memorable chorus, and it never leaves you thirsting for any type of guitar riff or solo. “War Witch” has an old-school feel with infectious guitar hooks and a chorus that recalls Judas Priest. The guitarists clearly show their virtuosity throughout, and Peck’s exhibits his vocals as well. “New Gods” is slower and darker, and Peck’s brilliant vocals range from guttural lows to Halford style highs. Once again, the guitar parts shine. “Seven Skulls” has the most Mercyful Fate feel of all the songs on Satan’s Tomb, and it slowly builds to a masterful crescendo of screaming guitars. Mercyful Fate is one of my all-time favorite bands, Melissa is one of my all-time favorite albums, and Denner/Shermann have now taken the energy they harnessed some 25-plus years ago and channeled it into Satan’s Tomb. Satan’s Tomb is out October 2 on Metal Blade Records. Pre-order it here!